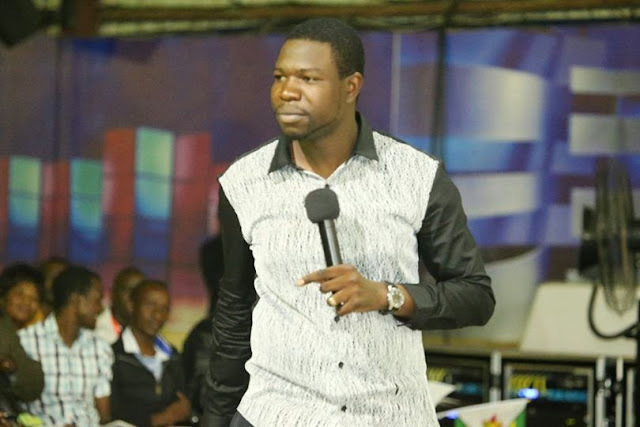 Prophet Magaya Slapped with Lawsuit Over $2million ‘Fake Seed’ promise. Home Feature Articles Hurukuro NaProphet Walter Magaya Trending News Prophet Magaya Slapped with Lawsuit Over $2million ‘Fake Seed’ promise. Prophetic, Healing and Deliverance (PHD) Ministries founder Walter Magaya has been hit with a nearly $2 million lawsuit by an aggrieved Harare couple who allegedly pampered the man of the cloth with expensive vehicles and cash to fulfil a “prophecy” that they would own an airline. The couple, Upenyu and Blessing Mashangwa, is also seeking to recover a Landrover Discovery 4 valued at R890 000 and $15 000 they “seeded” in cash after the man of cloth had allegedly given them a prophecy that they would own an airline. The seed was a precondition for the prophecy’s fulfilment. The two, who are businesspeople, are also seeking to recover a further $44 000 which was balance of payment for seven commuter omnibuses they purchased on behalf of Magaya. In another claim, Mashangwa is also demanding $1 million for contumelia, deprivation of freedom and mental anguish and for defamation of character after Magaya allegedly caused his arrest for an alleged fraud amounting to $40 000. The lawsuits were filed in the High Court in Harare on April 22 and 28 under case numbers HC36561/15, HC 3857/15 and 3858/15. In their first claim, the couple said they had put up a house for sale in Marlborough on the market and Magaya, through his agents, had expressed interest. It is further claimed he requested to meet the couple so that he could share with them the prophetic revelation he had received from God. “Defendant, through his agents, requested to meet Plaintiffs in order to reveal the vision or revelation he allegedly had seen from Jesus Christ and the Almighty God,” reads the summons. On the strength of that prophecy, the couple availed 890 000 rand to purchase a Landrover Discovery 2014 series for Magaya, which was handed over to him in December 2014. Magaya allegedly advised the couple to import the vehicle in his wife’s name and they did so. At that time, Magaya is said to have further revealed to them that they would go into partnership with Emirates Airline, after which they “seeded” an additional $15 000 for the prophesied partnership. In the second claim, Magaya is said to have requested the couple to sell him seven commuter omnibuses at a value of $15 000 each and they acted on the instruction in the understanding that full payment would be made upon delivery of the vehicles. “Defendant made part payment of the purchase price for the delivered commuter omnibuses, leaving a balance of $44 000,” reads the summons. Following the demands, it is alleged that Magaya instigated officers from the Criminal Investigations Department (Law and Order) against the couple and the officers went to the Mashangwa home where they reportedly harassed and tortured their children and five domestic workers between 7pm and 12 midnight on March 15 2015. The following day, the couple claims to have been arrested and detained at Harare Central Police Station and on two occasions, Blessing lost consciousness and had to be hospitalised. No charges were pressed against them. “Plaintiff was humiliated and Defendant used security agents and officers at CID Homicide who were acting contrary to their constitutional mandate. Defendant was encouraging them to abuse their power and trampled upon Plaintiff’s rights,” the summons further reads. Magaya allegedly continued to send people to harass the couple so they could stop demanding their $44 000 for the commuter omnibuses that were delivered. “The arrest was extensively publicised resulting in Plaintiff being humiliated and her reputation as a businesswoman, Christian and law abiding citizen damaged,” the Mashangwas contended.